Alex and his team allowed me full creativity on his new Arai GP6s helmet as his main helmet paint sponsor. Their only stipulation was that we retained the blue’s used in the logo. I opted to introduce a contrasting vibrant colour and House of Kolor’s ‘Molly Orange’ was the perfect compliment to the other House of Kolor candies used. Which includes ‘Oriental Blue’ on the crown and chin and ‘Kobalt Blue’ for the darker areas. 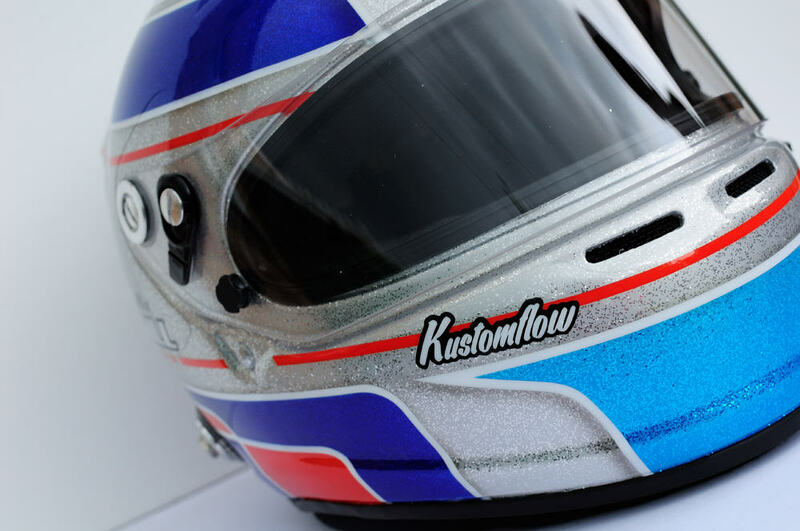 All colours were applied over a silver base with a medium sized silver metal flake from Specialist Paints to give it that extra visual wow factor on the track.